Henderson Tourist Commission – Spring activities are in full swing at John James Audubon State Park! Henderson Tourist Commission / audubon state park nature children fun family hike art clay spring activity / Spring activities are in full swing at John James Audubon State Park! Spring activities are in full swing at John James Audubon State Park! 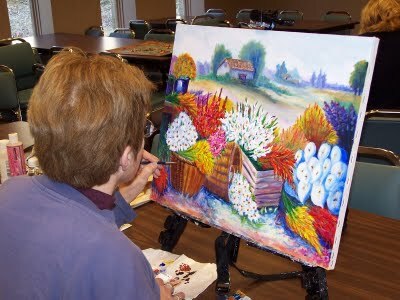 Adults and students ages 14 and up are invited to join us in the series of Art classes at the JJA Museum to touch on their creative side and explore the world of art. February, beginning to intermediate classes will focus on drawing techniques. Pre-registration is required. The instructor will be Lynn Buckman. Limited space available. Call or email Kim McGrew at kim.mcgrew@ky.gov for pre-registration or a supply list. Each 3-week series will be $45.00 or $20.00 per class. Tuesday, April 12 10 a.m. Discover the joy of creating and giving handmade cards! This workshop, taught by Stampin’ Up demonstrator Janet Burke, will feature materials and instruction to make three beautiful greeting cards using several techniques including rubber stamping, punching, and embossing. Beginning cardmakers are welcome. Pre-registration is required. Cost: $15, due the day of. Join us for our annual “Eggstravaganza”. 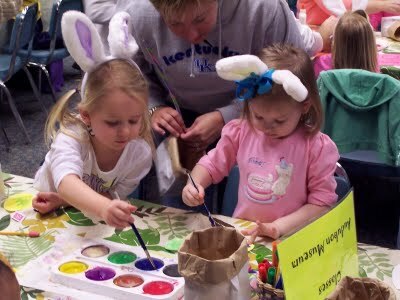 Bring those little Bunnies ages 3-8, for a Hoppin’ good time with “Funny Bunnies Art”, storytelling, music, an Easter Egg hunt and “Eggstra” surprises at the John James Audubon Museum. Pre-registration is required. Friday, April 29 – Sunday, May 1. Join us for activities celebrating John James Audubon’s birthday. Thanks to our visitors for making Kentucky State Park’s system the nation’s finest! Music, Hors d’oeuvres and live entertainment, honoring Rosemary Clooney as she recorded with big name labels and some of the greatest musicians of her time, such as, Frank Sinatra, Bing Crosby and Bob Hope. Tickets are $50 and will be available at the John James Audubon office in Henderson , Ky. (270) 826-2247. For more information on the evening, contact Kim McGrew at the JJA Museum (270) 827-1893 kim.mcgrew@ky.gov or Dina Campbell, Friends of Audubon, (270) 826-5334. Every Monday night from Memorial Day, May 25 – Labor Day, September 7 5 p.m.
Fridays from Memorial Day, May 30 – Labor Day, Sept. 7 4 p.m. This two or three person scramble is open to all seniors and does not feature handicaps. Tuesday, May 10 10 a.m.
Friday May 13 10:00 a.m. Toddlers 3 – 5 years old. These 30-45-minute interactive programs will explore what nature has to offer. With each new topic toddlers will discover how wildlife and nature shapes the world we live in. 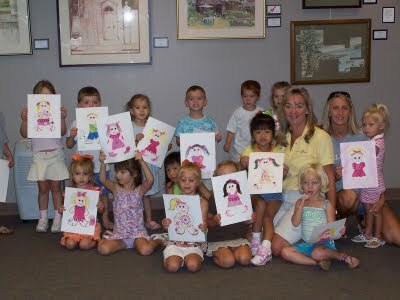 Each program will involve one or more of the following activities: games, crafts, live animal visit, hike, or songs. Sponsored by the Henderson County Community Foundation for Excellence. Features a 1-mile and a 5-K run/walk. Registration forms available by contacting Ellen Redding. Saturday, May 14, 9 a.m. – 8 p.m.
Creative Arts Festival features various local and regional artists selling their handmade goods as well as free children’s activities. Have you ever wanted to make a clay pot on a potter’s wheel? Everyone can make their own take-home pot with the help of Albert Bauman, potter, storyteller and musician.